I recently read this wonderful story to my kids. 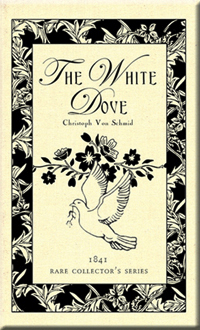 The White Dove is another great book from Christoph Von Schmid, the author of The Basket of Flowers. And although I believe Von Scmid’s The Basket of Flowers was better than The White Dove (in fact I consider The Basket of Flowers my favorite piece of Christian literature, even above that of John Bunyan’s Pilgrim’s Progress), Von Schmid did not fail to deliver another great tale steeped in Christian truths. This book, written in 1841, is filled with Scripture, and is a testament to God’s sovereignty (both of which is rare to find in today’s modern Christian literature market). I just wish the book was longer. Thats how good it is. We read it in one sitting! I wondered that my eight-year-old wasnt understanding the plot with the rich language of the writing, but she could recite it all back to me. We both loved this book! It was so full of Gods love and promises to us. I highly recommend it! This is a tender story of love, friendship, and Gods faithful provisions. My children begged for another chapter. A beautiful story. When Agnes finds a dove she mercifully spares its life and in turn it saves her and her entire family. This is a book about sacrifice, mercy, compassion, selflessness, love, and adventure. 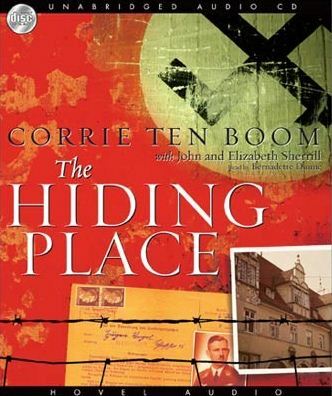 Book recommendation: “The Hiding Place” by Corrie Ten Boom. I recently finished Corrie Ten Boom’s The Hiding Place (the audiobook version) and was left shaken. From the depths of human depravity to the heights of human compassion, the love of God and the gospel of Christ permeates our fallen world but we oftentimes fail to see it until we are under intense suffering (and even then we often miss it). This book is bursting at the seams with biblical truths. One example is when Corrie refuses to accept her sister Betsie’s admonition from 1 Thessalonians 5 (to give thanks in all things) when it came to the fleas infesting their prison camp barracks. Corrie simply could find no reason to be thankful to God for the biting insects. That was until she discovered that the Nazi guards refused to step into their barracks because of the fleas, providing them the ability to hold daily Bible studies with the other prisoners without fear of being discovered. The fact that this book is a true story makes it even more powerful. I was moved by it and enjoyed it even more than The Diary of Anne Frank. I highly recommend The Hiding Place and it is now on my required reading list for my children. My only regret is that I never read this book earlier in my life. Book review: “Titus: Comrade of the Cross” by Florence Morse Kingsley. The 1997 Lamplighter book of the year, Titus: Comrade of the Cross, was originally written in 1894 by Florence M. Kingsley. A fictional work weaving the lives of several people living in and around Jerusalem at the time of Jesus’ ministry and crucifixion, this novel brings life to those nameless individuals found in the Gospels. Learn (through the imagination of Kingsley) about the poor blind beggar given sight by the Messiah; read the story about the twelve year-old girl who was raised back to life by the great Physician; and discover who the two thieves on the cross were and how they got there on that fateful Friday. Although the narration is in modern English, the dialogue between characters is in the style reminiscent of King James English. It causes folks like me who aren’t King James savvy to get bogged down ever so slightly during the dialogue, but not enough to ruin the story. It was a good read, very doctrinally sound, and a very refreshing fictional tale that stands out among the plethora of modern Christian fiction absent of that which glorifies the Lord.